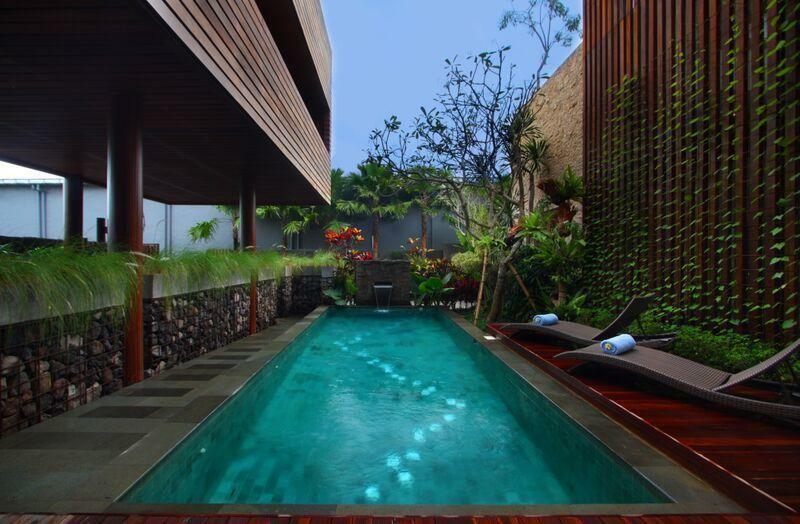 Located in Berawa village in Canggu, Villa 3536 is a modern yet traditional villa with elegance and comfort. There are three bedrooms each with large en-suite bathrooms providing guests with the option of privacy or a view of the rice fields view. The upper level has one bedroom which is exactly has the same design with the room on the lower level, with bathroom complete with bathtub and shower. Within its traditional touches, a pool table is available for guest to use as an entertainment while staying with family or friends. Villa 3536 provides a very fun nuance in the TV room using fresh colorful cushion. 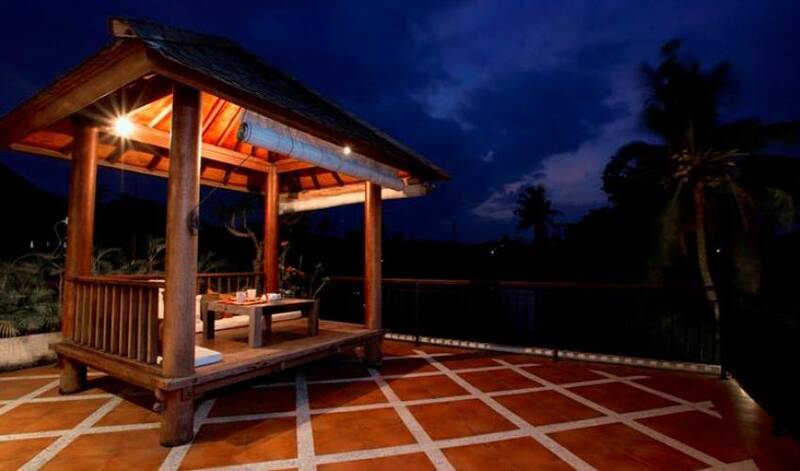 Outside, a comfortable seating areas at gazebo comes with views to Berawa rice fields. Another bedroom is situated also in the lower level but has different side, with the bathroom only with shower. 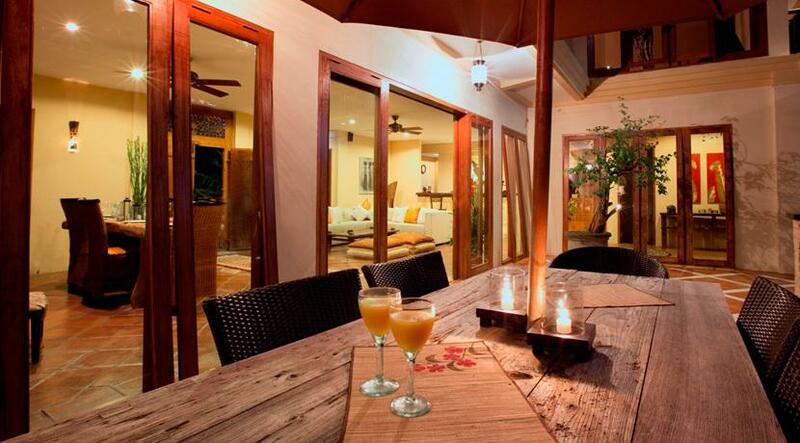 A cook will be happy to assist guest in arranging meals in its fully-equipped kitchen, or a drink in the living bar. 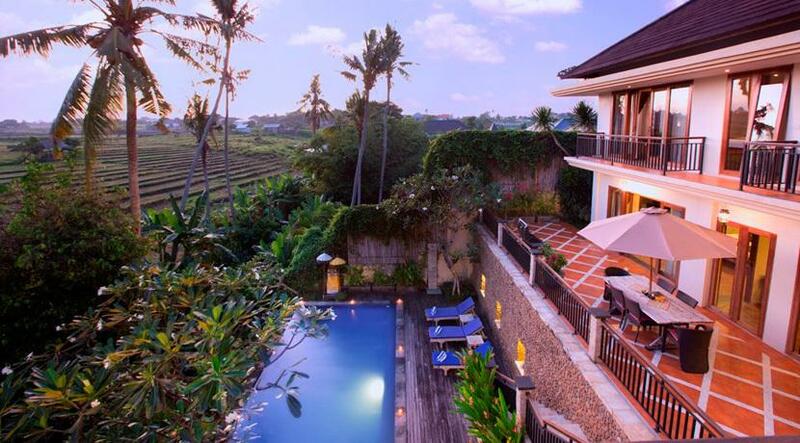 Put the steps down to the ground level, there is a swimming pool overlooking directly to the beautiful rice fields, where guest can enjoy the breeze and sun perfectly. 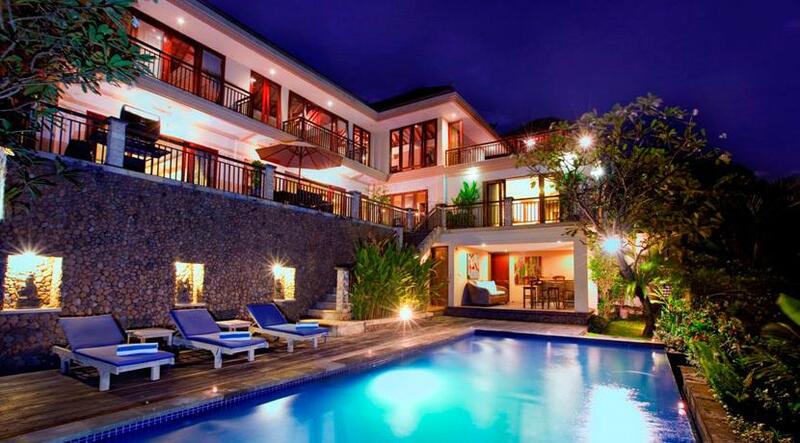 On the side, there are three sunbeds for relaxing and a pool side bar. Villa 3536 really creates a luxury retreat in a small village in Canggu yet close to everything guest would needs. The villa's living room can be found when you first enter the villa. There is a sofa with matching cushions, equipped with tables and beautiful ornaments that decorate it. Leisure immediately felt upon entering the living room because the wind can be felt blowing of glass doors that open and can also enjoy the sun is shining around the villa. On the left side there is an indoor bar and also a fully equipped kitchen, and there is a guest toilet that has a touch of unique ornaments. On the right side there is a dining table that has a numbered seats of 6. The traditional ornament of a candle houses are set up on the table along with a series of beautiful flowers that beautify the room. Touches of Indonesian tradition deeply embedded in this room that can be seen from the typical Indonesian fabrics and sculpture. Bedroom one is located right next to the dining room after we enter the villa. This air-conditioned bedroom has a king-size bed with a traditional feel with batik as a pillow cover and also wooden bed stead carving style. This bedroom provides a direct view to the vast rice fields. Glass doors that can be opened allowing a breeze to get into the bedroom, providing a soothing atmosphere. On the back, there is a bathroom with a shower and bathtub and it is designed to have a window that can be opened and closed at will, which allows us to also enjoy the breeze and sunlight from the outside. Bedroom two actually has a design and look which is exactly the same as the bedroom one, only that the bedroom two is located on the top floor right above the bedroom one. 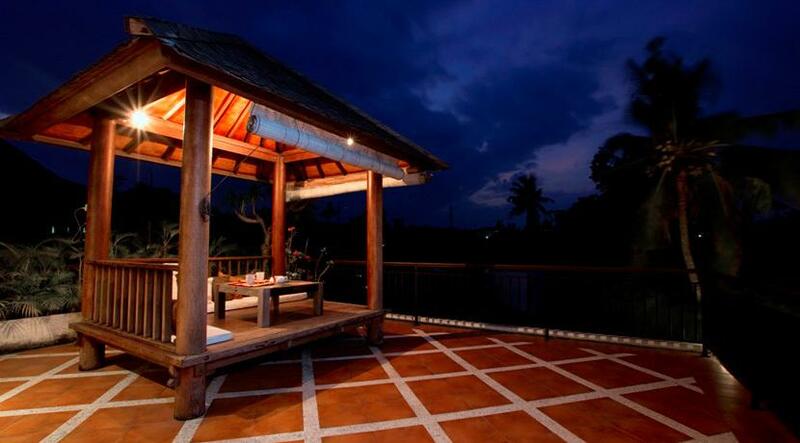 This bedroom is also equally has a veranda that is looking directly into the expanse of rice fields in the area. Traditional feel feels in this room which also has a king size bed. The yellow lighting gives warm feeling for the room. Bedroom three is situated on the same level with bedroom one, but this bedroom on different side of Villa 3536. 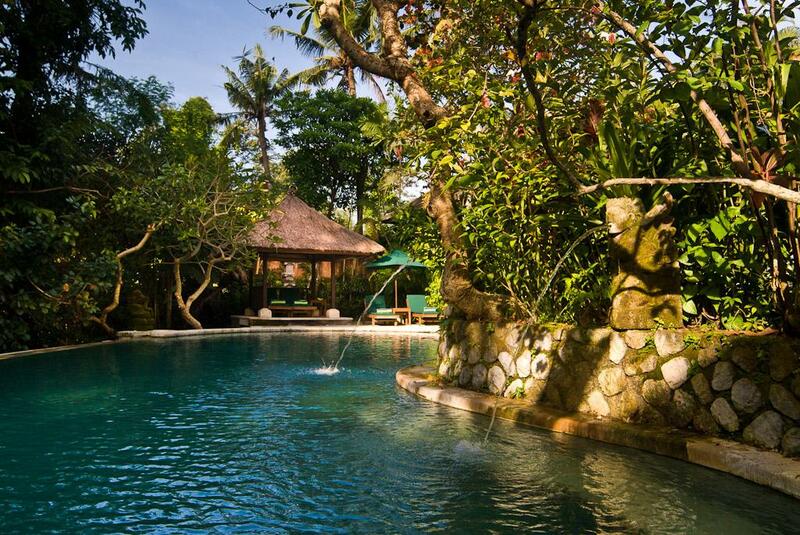 Which also has a king-size bed with the touch of batik, bedroom three has a bathroom with just a shower. This room may be smaller but also with glass doors that can be opened, bedroom three also has direct access to see the rice terraces and enjoy the breeze entered the room. 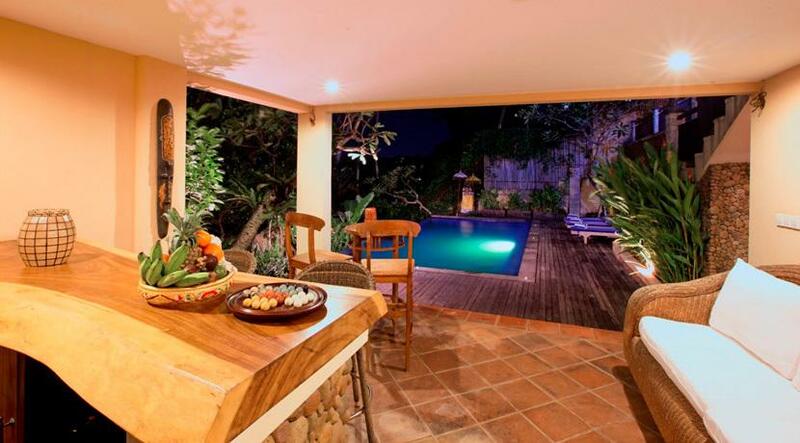 Not only enjoy the comfort of the villa and the surrounding scenic beauty, Villa 3536 also presents a means of entertainment for guests who stay. There is a TV room and another room with a pool table that can be used by guests to enjoy time with friends and family in a relaxed time. The TV room is equipped with air condition, satellite TV and DVD player making the right choice to fill the time with fun. 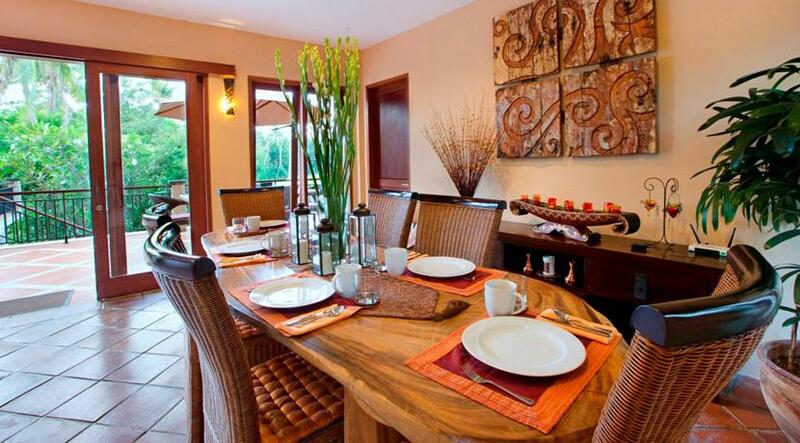 Both rooms are located on the upper level of the Villa 3536. When entering the gate of Villa 3536, we will pass the parking area that can accommodate for one car. Then we will find a door with a traditional design and decoration complete with statues in its side that welcomes guests in the vicinity where there are lush tropical gardens. 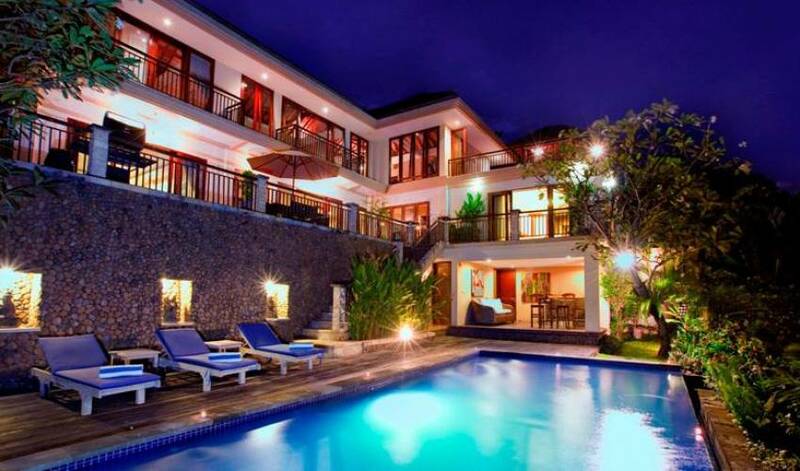 On the other side, the villa also has a nice outdoor area in the upper level, lower level and ground level. At the upper level there is a bale with a table and cushions that provide comfort when guests spend the afternoon enjoying the scenery of rice fields and breezy wind gusts. On the lower level, there is a sitting area furnished with a parasol which also overlooking to the views of rice fields and mountain in the distance. And at ground level there is a swimming pool with three sunbeds on its pool deck. 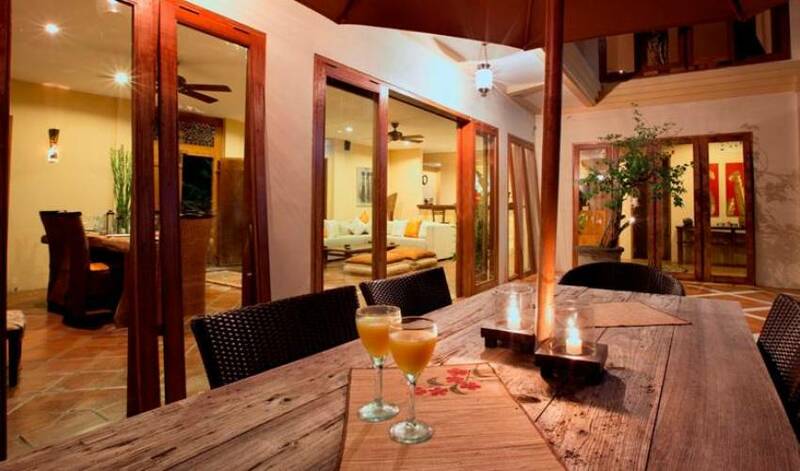 Beside it there is an outdoor bar perfect for a cold drink while enjoying the pool time. This area is also surrounded by lush tropical plants. 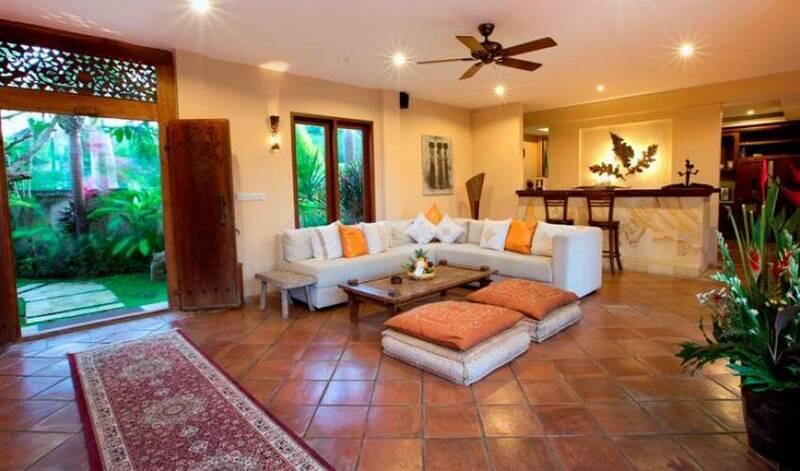 Villa 3536 is also decorated by some beautiful flowers at some angles in the villa, one of which is frangipani flower trees which is characteristic of Bali. 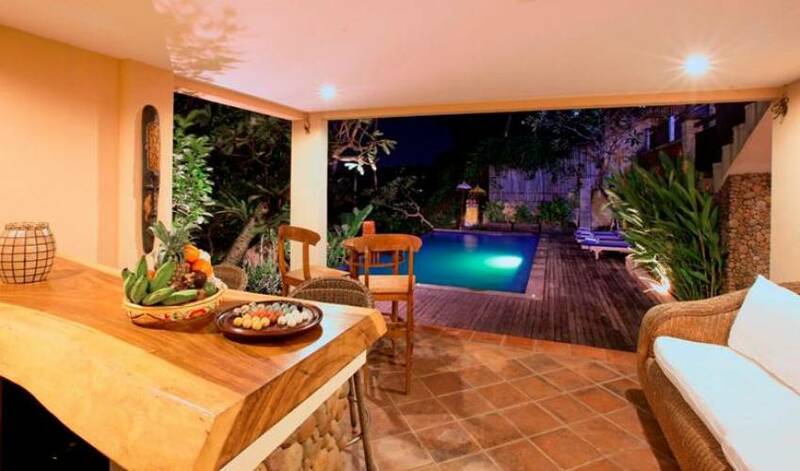 Giving a beautiful experience for a stay in Bali villa. 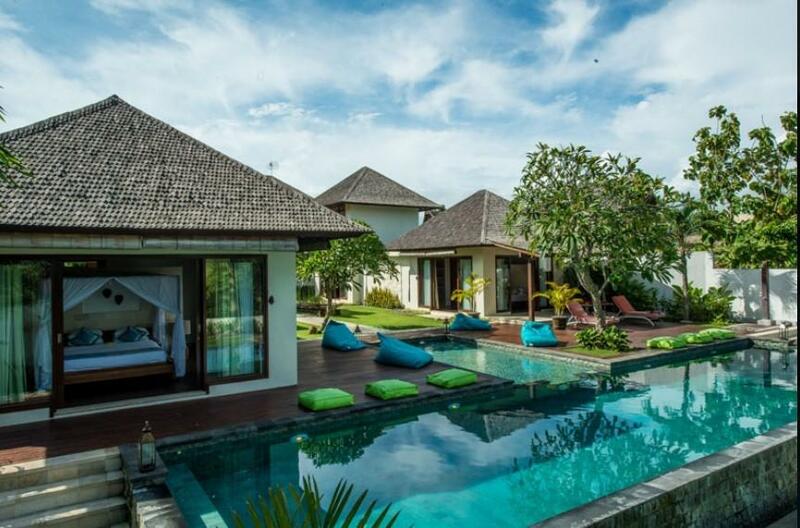 Villa 3536 is located in a secluded area in Jalan Raya Pantai Berawa, Canggu, which is only short walking distance to restaurants, 10 minutes to Canggu Club and Canggu Deli, and 20 minutes to Berawa beach. 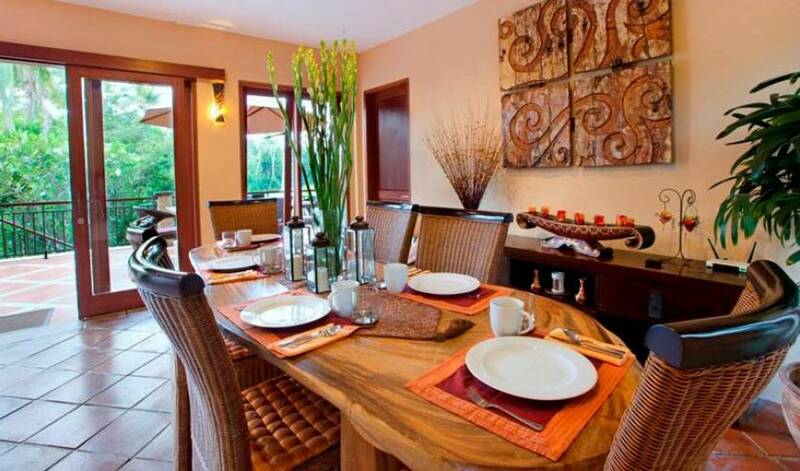 The airport is about 35 minutes driving distance from Villa 3536. 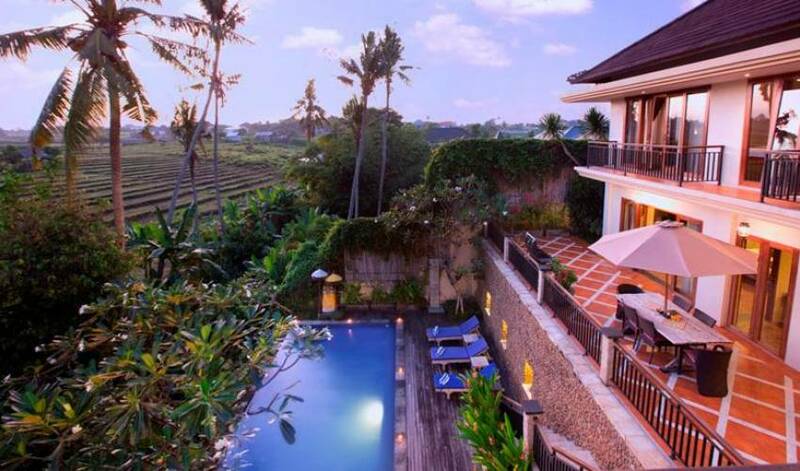 Situated among rice fields and other villas.